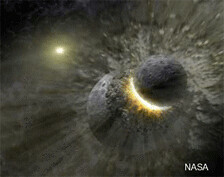 My general research interests are in learning about the origin and evolution of planets. I’m also interested in the ecological system and environment on terrestrial planets. I use a variety of numerical and analytic methods to examine how the surface environment of planets have been produced, evolved, and been stabilized. Then, I wish I compare these theoretical examinations to observations with telescope. We explained the origin of the diversity of the Jovian and Saturnian satellite systems by simulating growth and orbital evolution of proto-satellites in an accreting proto-satellite disk model that is combined with the idea of different termination timescales of gas infall between Jupiter and Saturn based on a planet formation model. By adopting the size-dependent evolutionary system for numerical experiments on variation of species diversity in the food web system, I derived a particular evolutionary pattern: (1) rapidly decrease of species diversity like mass extinction, (2) rapidly increase like mass explosion, (3) rapidly decrease like natural selection, which was observed especially in larger parameter dimension model, then (4) equilibrated state that maintained over the long term. And I confirmed that size-dependent evolutionary system is stable whereas size-independent evolutionary system raises the fluctuation and extinction of species diversity. 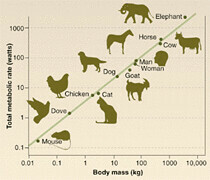 The results implied that considering the size-dependent system would be essential in establishing food web numerical model. We calculated the isotopic evolution of Hf-W system in consideration of partial resetting of this chronometer. 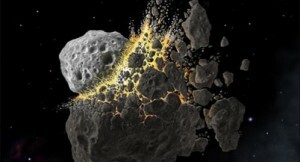 Our study provided three implications: (1) collision conditions and the number of the giant impact events affect the age estimation of the core formation, (2) the Earth’s W isotope ratio indicates that more than two-tenth of the volume of protoearth’s mantle must be equilibrated at each giant impact, and (3) Mars should have experienced a late extensive equilibration event that involve metal-silicate more than three-tenth volume of Mars’ mantle, which is potentially a single giant impact. We have conducted an infrared spectroscopy of the Pluto-Charon system in the L band with the adaptive optics system on the Subaru telescope on 2002 May 28. 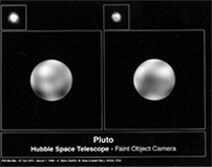 Thanks to the adaptive optics system, we were able to derive the high resolution data of Pluto. The spectra is dominated by the strong and broad absorptions of methane, but include some additional features between 3.05 and 3.9 ?m possibly due to hydrocarbon molecules other than methane. Comparing the observed spectra and simple model calculations by Hapke’s bidirectional model, we considered the effects of some hydrocarbon molecules to the shape of the spectrum of Pluto. We discussed the evolution of components on Pluto through some processes (non-equilibrium condensation, photochemical reaction, cosmic-ray irradiation, hydrodynamic escape, and external reservoir’s addition), and predicted the second major components (HCN, C2H2, C2H6), which was consistent with our observation.